SOLVI Virtual Reality Welding Simulator is an environment for the simulation of welding processes, training and evaluation of welders. 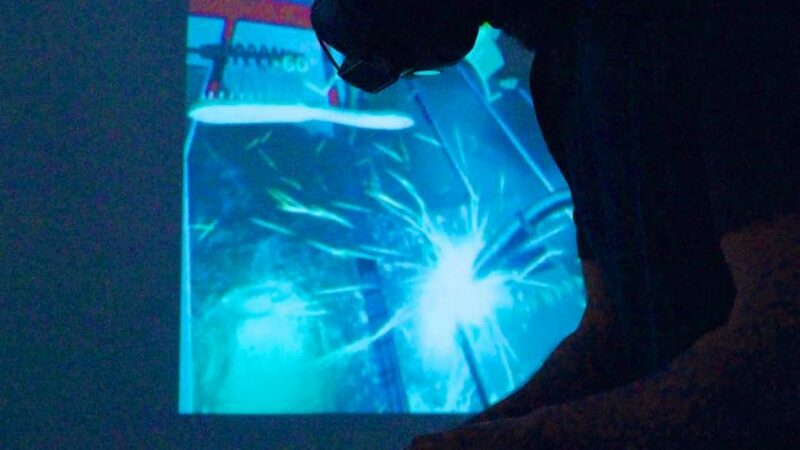 It consists of a virtual reality glasses a virtual joint and a real torch / electrode holder that allows the student to weld in the same way that he would perform the actual process. The training takes place safely, without risks and environmental impacts and without wasting resources. The system trains the student in the correct welding procedures for all welding positions (1G to 6G and 1F to 6F). The simulated processes comprise, MIG / MAG (GMAW), tubular electrode (FCAW) and coated electrode (SMAW). Other processes such as TIG, Submerged Arc and Spot Welding can be included as required for training. The equipment simulates the solidification of the weld bead according to the defined welding parameters. The welding process settings are done in a real equipment in the simulation environment. Welding Parameters are (but not limited to) current, voltage, working angles and speed. All welding takes place in a virtual environment, where the student performs the set up of the equipment according to his WPS. The student is evaluated in ability in a growing sequence of difficulty as they evolve. 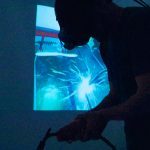 The Solvi Virtual Reality Welding Simulator is an advanced didactic tool. Each unit is autonomous, and is already configured with exercises according to technical standards for the qualification of welders. At the end of the exercise the student receives a note that reflects their skill and practice in the WPS. In addition to the station we also provide the equipment in the portable version in a special case for transport. If you are interested we can schedule a demonstration at your site. Send your contact information here (you will be directed to a brief contact form).